Pit Stop USA is The Online Motorsports Superstore! We feature Front Axles at low everyday prices. 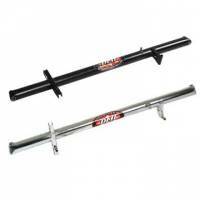 Allstar Performance Sprint Car Front Axle Black - 50" x 2-1/2"
Allstar Performance Sprint Car Front Axle Chrome - 50" x 2-1/2"
M&W 50" Front Axle 2-1/2"
M&W 52" Front Axle 2-1/2"
We feature Front Axles - Sprint Car, Sprint Car Front Axles, Sprint Car Front Axle, Sprint Car Parts, Sprint Car Accessories, Open Wheel Parts, Midget Parts, Sprint Car Parts, Front Axles - Sprint Car, Sprint Car Parts, Sprint Car Accessories, Sprint Car Front Axles, Sprint Car Parts, Sprint Car Accessories, Open Wheel Parts, Midget Parts, Sprint Car Parts at low everyday prices!